You enter through the basement blast doors and then ride the tiny elevator 11 levels down into the armored control silo. 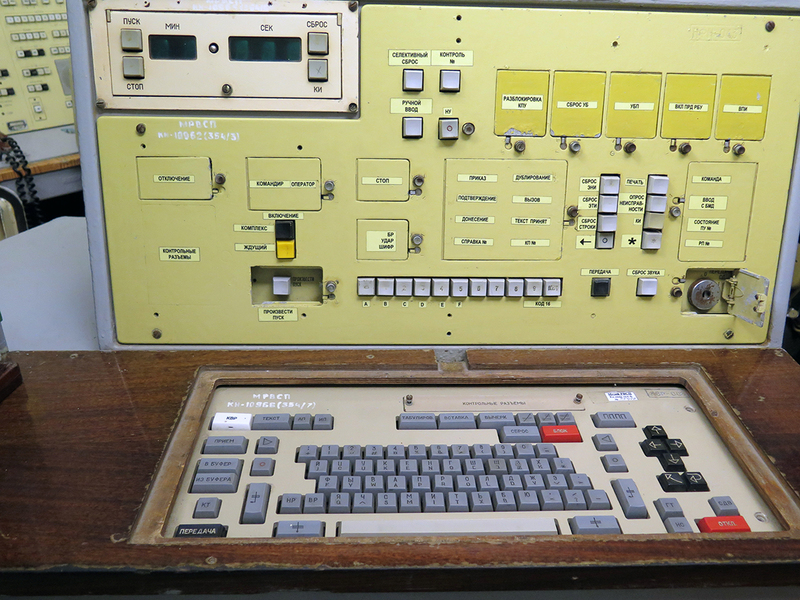 You and one of your comrades man the launch control consoles. A quick consultation, then 1-2-3 you each turn your launch key and simultaneously push your launch button. And the SS-24 ICBM roars into the sky! Well, fortunately there aren’t any missiles in the silos anymore, but otherwise it was an authentic USSR missile launch sequence, in a real cold war Soviet ICBM silo. The consoles we were using were the originals and really could have launched nuclear doom back in the day, so pushing the launch button made for a very eerie experience. 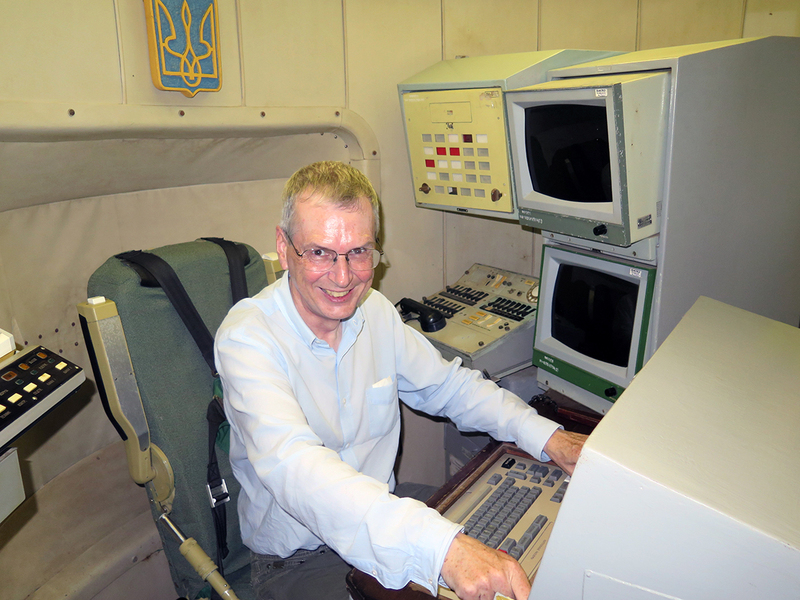 I’d been down a US ICBM silo (at the Titan Missile Museum) and simulated a launch there. So I was excited to have a chance to launch a retaliatory strike from inside the USSR. The Pervomaisk Missile Museum is in Southern Ukraine and is based in an old Soviet launch complex. We were told that the site had hosted SS-24 missiles targeted at the US East Coast. The missile silos themselves have now been filled in, under disarmament treaties, but the control silo has been preserved as part of the museum. The complex has a surface museum, with models of the various silos, and there are also a few old missile and giant transporter trucks. 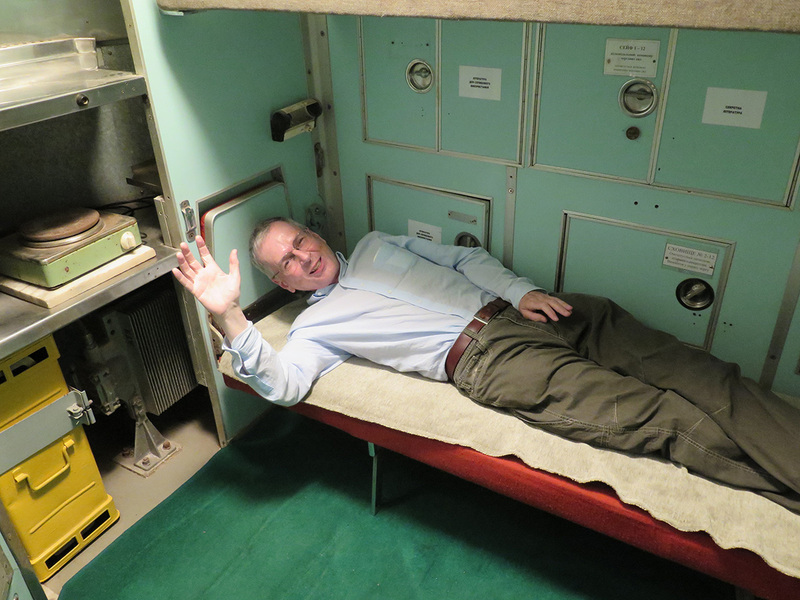 But the high point is definitely visiting the control silo, playing with the controls and then lounging in the small crew room. 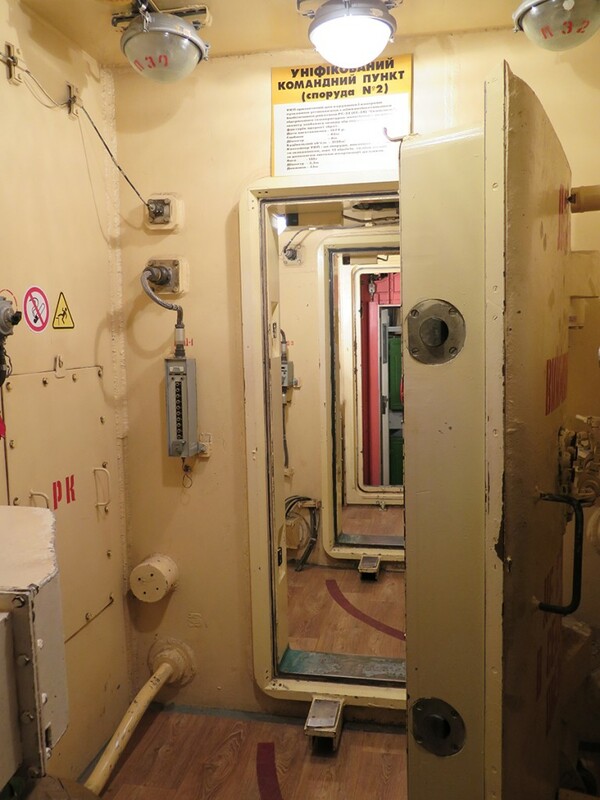 As with the Titan command silo, the Soviet command silos are heavily shielded and the command structure is suspended within its silo to resist shock. The Museum is near Pervomaisk about a 3 hour drive South of Kiev. I visited on a day tour run by SoloEast (aka TourKiev).